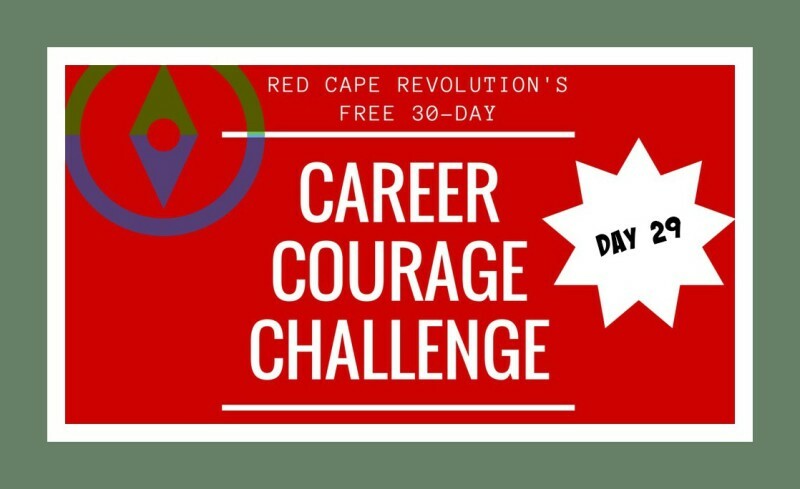 It’s the second-to-last day of our Career Courage Challenge, and I am so honored that you’ve been here on this journey! Share your experiences in email or write in the Comments at the end of this article, or on Facebook and LinkedIn, too. I’ve been taking the challenges along with you–read my notes in each day’s Comments. Wow—here you are, on the next-to-last day of our Career Courage Challenge. How do you feel? Braver? Stronger? More in control? No matter how you feel, today, take a moment to appreciate YOU and the simple fact that you’ve been here. It doesn’t matter if you’ve done all the challenges, done a few, or just read along each day and thought about them in your head, the fact is you’ve walked a path that not everyone is willing to walk. Be sure to do something nice for yourself today. You’ve earned it.